This winter we noted the constantly shifting terminology around cuts to clinical services at The Ottawa Hospital. At first the public was told by the Health Minister and Premier that cuts to thousands of endoscopies at The Ottawa Hospital were part of health care restructuring. We asked why it was therefore not being treated as an integration decision by the Champlain Local Health Integration Network? The LHIN replied that because the “cuts” (not restructuring) were actions taken as part of the hospital’s accountability agreement, no integration decision was required. For the public, no integration decision means no consultation and no transparency. Despite multiple protests around the cuts and profile given to the issue during the Ottawa South by-election (in which the Tories oddly said jobs were being cut at the hospital because of too much spending on health care) the Champlain LHIN refused to consider intervening. Given its lack of interest in a massive transfer of diagnostic services in the Ottawa area, it is remarkable to note what the LHIN is now deciding upon: parking. While the Ottawa hospital could cut clinical services at will, it sought the approval of the LHIN to build a new $12.5 million parking garage that will be paid for over four years by drivers shelling out $13 a day. Evidently parking is important to health planners. Endoscopies? Not so much. Last week we noted that Hamilton Health Sciences was caught off guard by a Freedom of Information (FOI) request issued by the Hamilton Spectator. The newspaper had requested executive and board expenses going back to 2007 at the hospital. HHS initially told the newspaper that it would pass on costs of more than $17,000 to retrieve thousands of invoices from an off-site storage facility. The hospital also said it would take staff until the end of the year to sift through the invoices to fulfill the request. Upon appeal, the hospital has now agreed to supply the information by the end of September and fees have been reduced by the adjudicator to $1,228. The fact that a hospital with an annual budget of $1.2 billion could not access these records electronically was astonishing to us, although CEO Murray Martin told the newspaper that in the past year they have implemented a fully electronic financial software system. When Diablogue used the same FOI process last year to track staff-management changes at 20 Ontario hospitals, many claimed to have to resort to manual processes to fulfill our request. It cost us more than $1600 to get the answers demonstrating the freedom of information is far from free. Dr. Jack Kitts, CEO of the Ottawa Hospital, says he plans to transfer about 5,000 endoscopies to community hospitals and clinics as part of an overall plan to find $31 million in savings towards balancing the hospital’s budget. Kitts announced last week that 290 full-time equivalent positions would be eliminated at the hospital, including 90 positions in nursing, 100 in administration and support services, and a further 100 “other” health professionals. There is no word whether any senior managers will have to fall on their sword. The impetus for the cuts are clear – The Ottawa Hospital is facing the long-term prospect of zero per cent annual change in the base funding while costs continue to rise with a growing and aging population. It has little to do with restructuring. Divesting 5,000 endoscopies may save the Ottawa Hospital money, but it won’t necessarily save the provincial health budget as these costs get borne elsewhere. 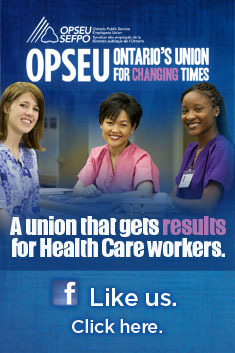 Then there’s the matter of The Ottawa Hospital facing direct costs related to severing employees. Kitts says it’s cheaper to do these endoscopies elsewhere, but he gives no evidence to back up his claims. Calculating the human cost of such actions is always much more difficult. The Ottawa Hospital was subject to a major study in 2009 on role overload, suggesting workers at the hospital were already facing anxiety, fatigue, and burnout as a result of having to do too much with too little. For those left behind, the fear of having their workload become totally unmanageable is very real, raising questions about how safe the hospital will really be. We sometimes get asked about how we come up with stories for the Diablogue? For us, it’s not a matter of finding stories, but prioritizing material culled from a fast-moving stream. Last week we focussed on the outrageous decision by Canadian Blood Services to increase imports of American-sourced plasma products while closing the last dedicated Canadian plasma donor clinic in Thunder Bay. Part of the fallout from the provincial budget is the decision to postpone a number of capital projects, including new hospitals. Nowhere is this being more felt that in Grimsby, where the community is upset that the new $138.8 million rebuild of the West Lincoln Memorial Hospital has been put on the shelf. The “Rallying for WLMH Committee” has called for a “massive rally” May 2nd. When the hospital faced closure in 1997, more than 7,000 people came out in a similar planned rally. A new CIHI (Canadian Institute for Health Information) report raised eyebrows when Lakeridge Health and the University Health Network came out at the bottom of list of GTA hospitals. Lakeridge (with sites in Oshawa, Port Perry, Bowmanville and Whitby) pointed out that according to CIHI data, they were doing better than the provincial average on six of seven clinical performance indicators. That includes 80 per cent better than the provincial average when it comes to readmission after hip replacement surgery, and 30 per cent better on knee replacement surgery. An on-line tool that CIHI developed to rate hospitals crashed after it was swamped with users following a front page story in the Toronto Star.